Building a computer is something that everyone should experience. It is not only for nerds and computer gamers but for anyone that is looking for experimenting, having fun, learning, and saving some cash. First of all you want to pinpoint what you will be using your future computer for. Will you only use it to check mail and watch videos? Are you looking to run average programs and video games? Or do you want to build an amazing machine that can handle anything you throw at it for the next five years? Another question you may want to ask yourself, is if you are going to update your computer in the future, or just sell it and buy a new one. Keep these things in mind when searching for parts and building a computer. The benefits of building a computer are that you will know exactly what parts you are using, you will build a computer with top parts while still saving money, you will have fun, and you will learn something new. I personally recommend buying all of your parts from a website such as Newegg. If you donâ? ?t want to wait and pay for shipping then you can buy your items from a local store. The only downside is that the prices may be slightly higher and they wonâ? ?t have as big of a selection. You can also filter Newegg results by specific things that you are searching for, such as brands, CPU speed, CPU socket type, RAM amount and speed, price and more. 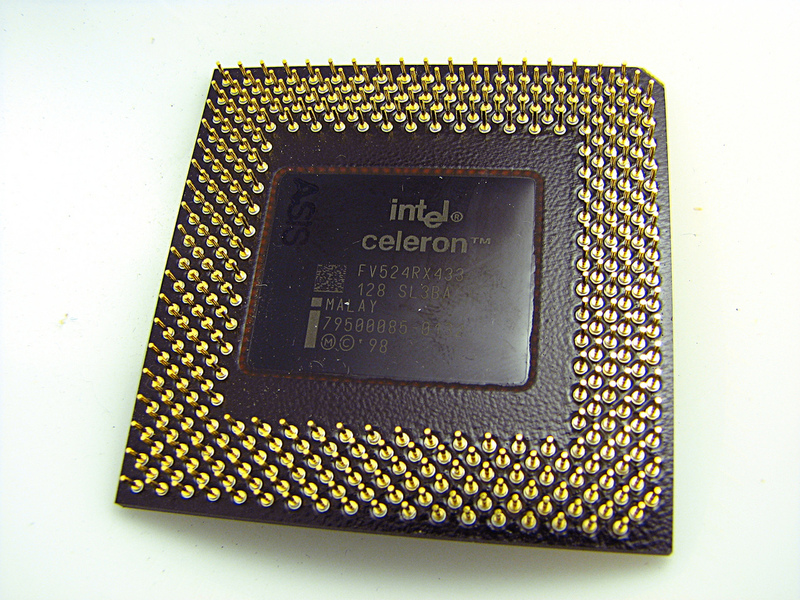 The processor is the brain of your computer. Its power is measured in Ghz. The higher the Ghz the more powerful it is. You will want to buy at least a dual core processor for your computer. If you are a gamer you wonâ? ?t need more than four cores as most games only use one core. If you plan on rendering videos and doing other computer intensive tasks, then the extra cores will come in handy. The biggest decision you have when picking your processor is Intel vs AMD.Â The computer community tends to believe that Intel performs better while AMD is usually way cheaper. If you arenâ? ?t really tech savvy then you might want to go with Intel. AMD offers processors that have more cores and are way more powerful than Intel CPUâ? ?s that sell for the same price. AMD is also big on overclocking your CPU to make it more powerful by supplying it with more voltage. That is why people tend to think that Intel is better because there isnâ? ?t much margin for error. Either way you can expect that your computer will not have any problems with either processor. The decision is up to you and your budget. If you want to buy an Intel processor you will also have to buy an Intel motherboard, same goes for an AMD processor. You canâ? ?t just change between the two. The one thing you want to make sure is that you note your processorâ? ?s socket type. Your motherboard will have a socket that is compatible with only a few socket types. If you donâ? ?t buy a motherboard that supports your processor, it simply wonâ? ?t fit! The Motherboard is going to be the â? ?bodyâ? of your computer. This is where you connect the processor, RAM, hard drives, graphics cards, and more. Make sure that the motherboard you pick has enough expansion slots for your needs. 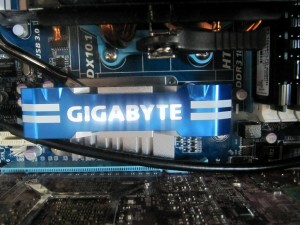 The PCI slots are where you can add in different cards for graphic, audio, and other purposes. As stated above you will want to make sure your motherboard supports your processor socket! Consider the number and type of external ports your motherboard offers. Does it have enough USB slots for your needs? Does it come with a built in audio chipset, or will you be using an audio card? Does your motherboard have enough RAM slots, and does it support your intended RAM speed and channels? Another thing to consider when picking a motherboard is the size. Â Motherboards usually come in Mini ITX, Micro ATX, and full ATX. The bigger your motherboard will be the bigger your case will need to be. The last thing you want to think about is whether you will only use the motherboards integrated graphics or if you will be adding your own graphics card. If you are going to be checking email, browse the web, and use word processors, then integrated graphics may be all you need. 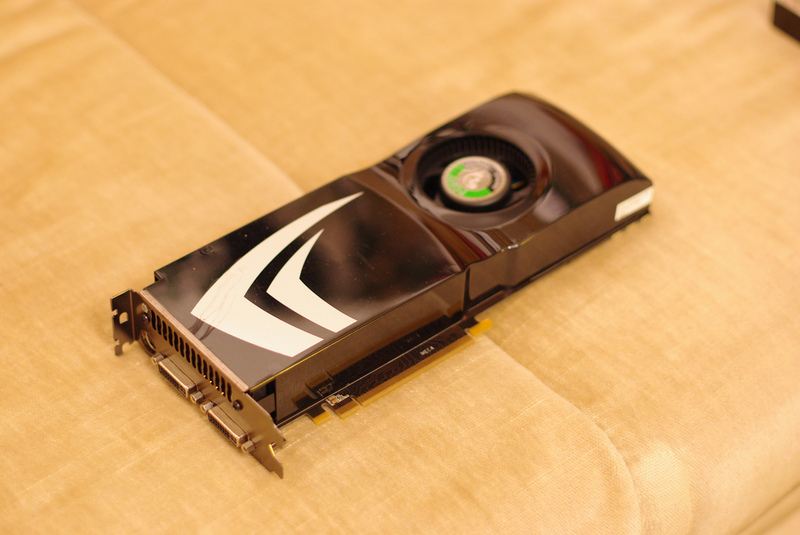 If you are going to be playing graphic intensive games then you will need to buy a graphics card. If you are going to overclock your processor you will need to replace the fan that comes with your CPU with a stronger one. Make sure any CPU fans you buy are compatible with your processor. Ports on the front: Most cases come with microphone, headphone, and USB ports on the front. Make sure there are enough ports for your needs. Number of Drive Bays: Make sure you have enough drive bays for your optical drives and hard drives. The drive bays come in different sizes but if you buy a smaller hard drive you can buy adapters that will let you fit them in bigger bays. Airflow and Cable Management: Cables can start to pile up in your computer. This will block air from flowing throughout the case and that will make your computer hot. If you are buying a case with a glass side then you will want the cables to be hidden. Tangled wires will make it hard for you to maintain your computer and remove dust. Noise and case fans: Case fans can bring air into the case and blow air out through the back, top, bottom, and sides. Check reviews for airflow and fan noise. Keep in mind that if a fan is too noisy or breaks down you can always buy another one for very cheap. Hole for attaching CPU fan: If you want change your CPU fan in the future it will be a pain to add back brackets to your motherboard. Bigger fans need a bracket on the back and front. Once your computer is already built you wonâ? ?t be able to add the back bracket unless if you take your entire computer apart to get the motherboard out. Most cases come with a hole so you can easily access the back of the CPU without taking apart your computer. Look: Obviously you should also pick a case depending on its look. You can go with a basic case or one that comes with many different mods. This one is up to you. The RAM is like your short term memory. If you add to calculate a bunch of numbers you would have to remember them, and then process them. The RAM is where your open program memory is stored while using the program. When you save a file then it goes to your hard drive. When picking your RAM you will want to consider the amount. The more RAM you have the more you will be able to multi task. 4GB of RAM is currently the average but if you are going to run servers, virtual machines, or memory intensive programs then you will want to consider more RAM. RAM has become really cheap these days so itâ? ?s a good idea to buy 6-8GBs if you can. Your motherboard will either support dual or triple channel RAM. Dual means you need to buy RAM in sets of two, and triple means you need to buy your ram in sets of three. For example if your motherboard supported triple channel you would have to buy either 3 sticks of 1GB of ram for a total of 3GB, or 3 sticks of 2GB of RAM for a total of 6GB. I personally recommend you go with dual channels. The last thing you have to check the RAM you’re picking for is speed and type. The speed doesnâ? ?t really make a difference but you should make sure it is compatible with your motherboard. The type of RAM is like theÂ differentÂ generations of RAM. We are now at DDR3; just make sure your motherboard supports whatever you pick. Hard drives are like your long term memory. Some things you will need to consider when looking for a hard drive is size, speed, and reliability. Read the reviews to see the rates of hard drive failures, noise levels, etc. Hard drives are always getting cheaper so you donâ? ?t need to buy a big size if you donâ? ?t plan on needing it. In the future you can always buy more hard drives. Something you might want to consider is also buying an SSD (Solid state drive) for your computer. These use different technology then traditional hard drives so they are able to read information really fast. For example an identical computer booting off of an HDD may take two minutes, while an SSD will be at least six times faster and will boot in around 15 seconds. The same goes with loading times for programs and games. The only downside to SSDs is that their writing speed is way slower, they are expensive, and they tend to break faster than HDDs. That is why most computer builders will include an SSD only as a booting drive. They will install the operating system on an SSD, and store all their data on a normal hard drive. If you are worried about your booting times then you may want to consider an SSD that stores about 40GB. If you want to install programs on your SSD then you will need one that can store at least 64GB. It all depends on how much space your programs will take up. When picking your optical drive you will want to watch for read and write speeds as well as noise. There are also Blu-Ray compatible drives out there. If you are tech savvy enough you may actually get by without an optical drive. If you watch a lot of movies from DVDs or install games from discs then you will need an optical drive. I personally download games and movies from online and use iTunes for music. I have an external hard drive that I backup all my data on so I never even need to use an optical drive. I have an optical drive, but in the future I wonâ? ?t even include one in my computer. This is all up to you. Graphics cards are very complex nowadays. When picking your GFX card you can either research benchmarks for different cards, or you can just look at reviews on Newegg. Many people will let you know what games they are able to run, and they may even include the frames per second that they play at usingÂ specificÂ cards. If you are looking at playing recent games then reading the reviews will be enough to let you know what cards are good enough. If you are looking at running games at the highest possible settings and future proofing your computer then you may want to research graphics cards before picking one. Make sure that the card will fit in your PCI slot, and read any reviews for heads up on noise levels. When choosing your power supply you will want to take efficiency, noise, and cable types into account. The wattage level is the maximum watts that your PSU can supply. You can useÂ Neweggâ? ?s supply calculator to calculate how much wattage you will need for all of your parts. Read the reviews on reliability and noise levels. Make sure the cables are long enough so that you donâ? ?t need any cable extenders. Also check how many different cables your CPU comes with so that you can powerÂ up all your parts. If you never want to lose your work during a power outage again, then you may want to consider an UPS (Uninterrupted power supplies). During an outage you can lose all your work and that can be frustrating. 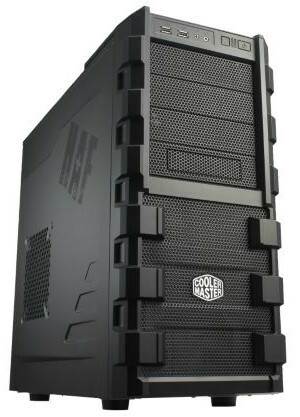 A UPS will continue to supply power for a short while so that you are able to save everything and shut down. Some UPS can keep your computer running for hours or even days. You may also need other parts for your computer. You may need an internal card reader, USB PCI slot, Bluetooth, Wi-cards, and more. You can find all of these parts on Newegg. We canâ? ?t actually go through the steps of building your computer here because there are so many different parts out there. Read all of your manuals or watch videos on Newegg or Youtube for help. Many people that build their first computer will be scared of frying the motherboard with static when they touch it. You can feel free to buy an anti-static bracelet but you need to understand that most of these bracelets donâ? ?t actually work. Donâ? ?t build computers while wearing a sweater or on a floor that creates static. Only hold your motherboard by the sides and you should be fine. Most people that think they fried their motherboard with static actually damaged it with their screw driver. Be patient when putting your computer together and be careful with your tools. If your screw driver slips you can break your motherboard right then and there! Here are the basic steps you will follow when building your computer. Make sure to read your manuals on each part that you are installing as you go along. Install your processor and any fans. Don’t forget to add your thermal paste when installing a custom fan! You may want to install all your programs that you usually use on your computer and then back up the entire hard drive. There are programs out there such as Redo and Xcloner that backup your Windows installation, programs and everything else. If you get a virus you can back up all your data and restore your computer without having to reinstall your programs again. I personally use a separate hard drive for my data so that if I ever get a virus my data is already backed up and I can just restore the operating system. You can view the computer I built myselfÂ here. I was aiming at building a work machine so I only bought a $70 graphics card.Â SurprisinglyÂ the card fares very well while playing recent games. Who would have thought? I really do think building computers is for everyone. If you don’t have the chance or need to build one up from scratch even switching parts out is fun enough. I know I sound like a geek but the sense of satisfaction is pretty great. Good luck to anyone out there looking to take on a task such as this. If you need any help feel free to ask questions. Yeah of course 🙂 This was something I enjoyed writing.